There are a lot of different phones out there on the market these days including the iPhone 4s and many others. Windows and Android phones are now competing with Apple in this market and there are a lot of people that are turning to these alternatives. However, there are so many reasons that you should decide on an iPhone 4s as your phone of choice and here are just a few of them. 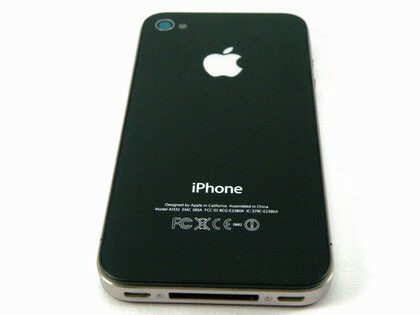 Firstly, one of the reasons that you should consider the iPhone 4 before any other Smartphone is the OS that it runs on. The iPhone 4 runs on IOS which is regarded by many as being the most intuitive and user friendly operating system in the world. This means that even if you have never owned a Smartphone before, it will be really simple to get to grips with as it has things such as the Apple App Store and more. Another great feature of the iPhone 4 and iPhone 4S device is the camera. The iPhone 4S has an 8 megapixel camera, making it one of the best Smartphone’s on the market in terms of its video and photo quality. This is a huge selling point for the phone and one of the many reasons you should choose the iPhone 4S. When coupled with iTunes home sharing, the iPhone will also let you transfer videos without having to plug into your computer.